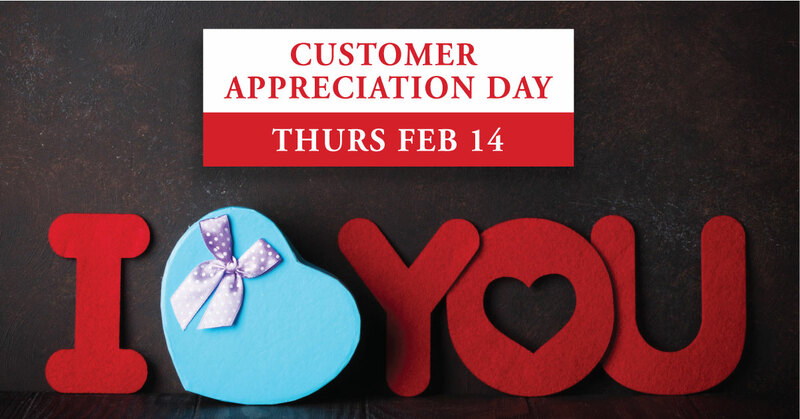 Customer Appreciation Day is Thursday Feb 14. Receive 10% off + 5% Loyalty Points off of every purchase! Discount off everything in the store INCLUDING Eminence, Jane Iredale, and Anne Marie Borlind products. Along with some great savings, we’ll have ongoing supplement education, tasty samples and a free draw you won’t want to miss! Vitamins First offers quality vitamins & supplements, numerous professional brands [including Metagenics, Seroyal, Douglas Labs, Innate], natural beauty products [including Borlind, Eminence, Jane Iredale] and holistic clinics in each of all Calgary stores. Come by to checkout the product demos at the stores.